Every summer, I make a point of going on a long bike ride. Sometimes I go solo; other times I’ll go with someone else. But whenever I go, I make a point of being out on the road for several weeks at a time. I choose to travel by bike because you move at a pace—about 10 miles per hour—that enables you to come in contact with the people you meet and the places you visit. It’s different than traveling by plane, train or automobile: the slower pace makes everything more intentional. The pace also influences one’s thought process. Biking and camping day after day enables the brain to move slower, a gate that honestly feels more natural, as if our brains, from a biological or evolutionary perspective, were meant to move at this rate. Enabling the brain to stay on vacation, to move at its own pace for a sustained period, is not only good mental maintenance—it’s also a great way to solve problems. When I prepare for a bike tour, I do what all bike tourists do: get the gear in order, tune up the bike, purchase maps for the given route and destinations. But I also come up with a problem that I want to solve, something I want to think about while biking nine hours a day or sitting around in the campsite or in the tent. 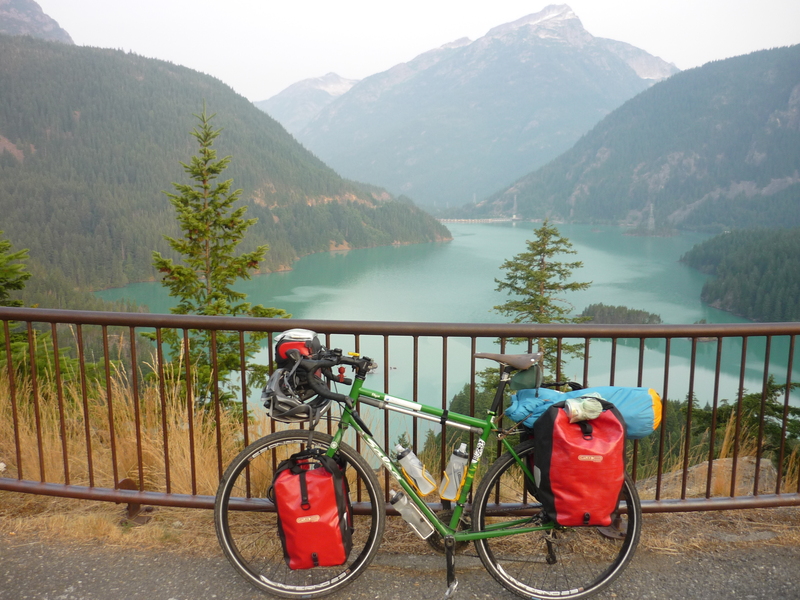 Solving large problems requires a great amount of mental and physical space, which is why bike touring is a great way to solve large problems. I typically do a great deal of research on the problem I want to solve before the trip begins, and I’ll refer to my research notes while on the trip, but the real work is when I’m in the saddle, letting all that information work its way through the brain, letting ideas connect, letting the brain do what it is designed to do. And when the ideas collide, when the problem is solved, there is euphoria. I love to think and solve problems. The bigger the problem, the better, and that means having extended bike rides on a yearly basis.